It's important to remember the effects that a harsh winter can have on your property that regular maintenance won’t always cover. What can you do to maintain your property in cold, snowy, and sometimes extreme weather for a sustained period of time? Whether it’s rainfall, harsh winds or morning frost, we want to help you to help your property. Here’s the 5 pre-emptive measures you can take to stop your house falling victim to winter-related damage. Inevitably, gutters across the UK will become clogged with wet Speckled Alders, Pin Cherrys, and various other autumn leaves. This can cause water to back up and freeze when the temperatures into the minus degrees (as they have done recently). If this happens, it could result in with water overflowing or even breakages to the external pipes. 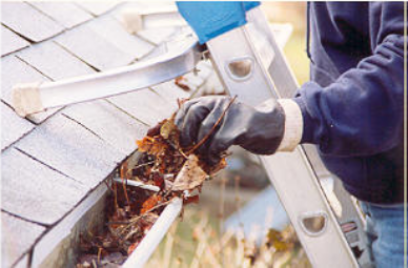 A good way to combat against this possibility is by clearing your gutters before frost has the chance to set in. 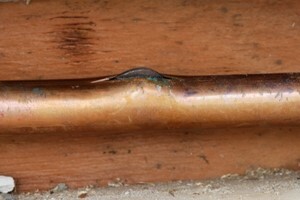 Broken or burst pipes can cause serious and extensive amounts of damage to your property. If you have any pipes that run and flow outside of your property, for example a garden tap, make sure you turn the water flow off and run the tap dry before the temperature drops below zero to ensure that no excess water freezes and damages the internal structure of the pipes. ​​​​​​​ Keep the heating system on if they are away from the property in the winter for a prolonged period of time to avoid frozen pipes. This may sound strange if you’re unfamiliar with the term, but bleeding your radiators can be very handy for guarding your boiler against typical winter problems. Radiator bleeding involves releasing trapped air that can prevent radiators from heating up – not an ideal situation to have on a frosty morning! Bleed the radiators and ensure you get the radiators serviced on an annual basis. The chances of flooding can vary greatly. However, the threat of severe damage that floods carry remains the same, so taking precautionary measures won’t do you or your property any harm. If it has snowed, shovel it away from your property and any low-level windows. Check catch basins close to your property to make sure they aren’t obstructed, and if snow and rainfall has been particularly heavy with the threat of flooding.